For many years, vertical integration characterized the international oil industry, with the same company controlling the entire process from crude exploration and production to the retailing. This structure was radically transformed in the 1970s and this book, originally published in 1984, examines whether the dis-integration which resulted was a long-term trend or a temporary phase. 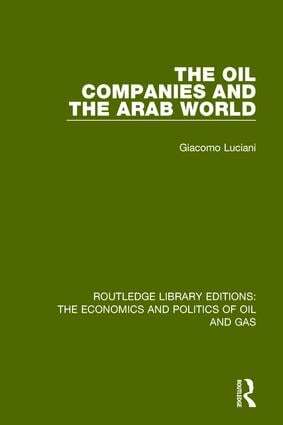 It examines the attitude of the major international oil companies, discusses the policies adopted by oil producing and oil importing countries, and the limits of ‘government to government’ deals underlined. The political and strategic implications of re-integration are explored, and relations between oil exporters and importers, and between the USA, Europe and the Arab world discussed.